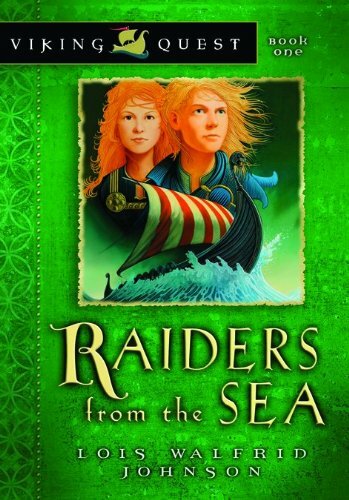 In one harrowing day, Viking raiders capture Bree and her brother Devin and take them from their home in Ireland. After the young Viking prince Mikkel sets Devin free on the Irish coast far from home, Bree and Devin embark on separate journeys to courage. Readers will be captivated by the unfolding drama as Bree sails to Norway on the Viking ship and Devin travels the dangerous road home. They both must trust their all-powerful God in the midst of difficult situations. This book is a children’s Christian fiction. I read this when was about ten and really enjoyed all five books in the series. This is the first book in the series and introduces the reader to the different characters in the series. The book does follow the stories of a few different people who interact, but I would consider the main character to be Bree. Because a girl is a central character, this book probably written more for girls, but some boys may enjoy the parts about the Vikings and their warfare.